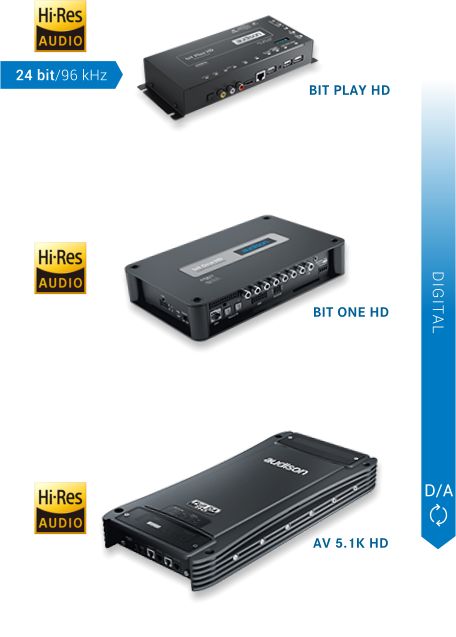 a new era of mobile audio reproduction. all in Hi-Res digital format. 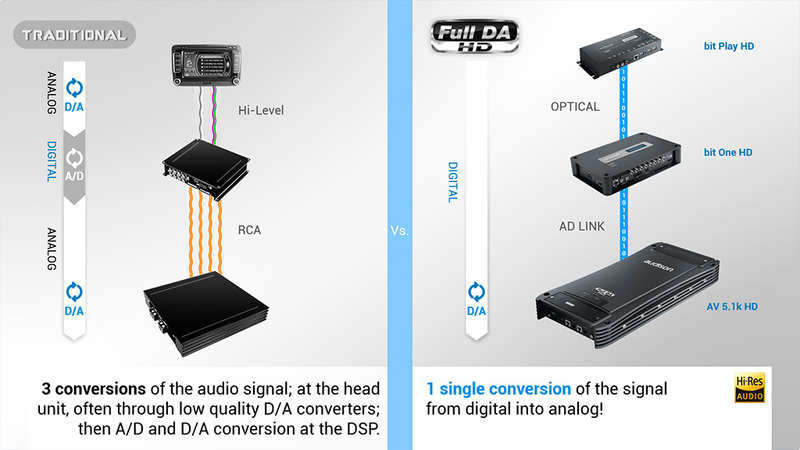 In traditional audio systems, the music is being transformed from digital to analog, and back to digital multiple times before it reaches your ears: the first one at the head unit, often through low quality D/A converters, followed by further A/D and D/A conversions at the DSP. 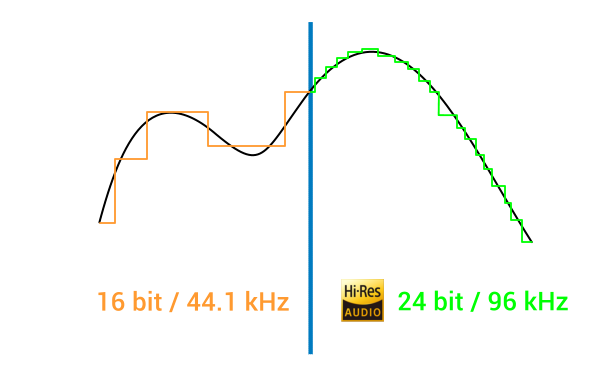 And because of these multiple conversions you lose sound quality. 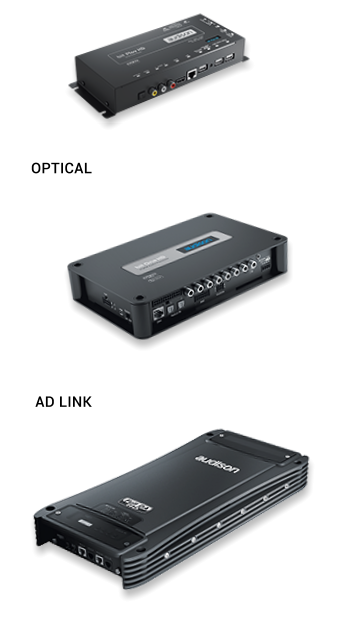 The Audison Full DA HD technology performs just one single conversion of the signal from digital into analog through high quality converters inside the amplifier: you keep your Hi-Res music full digital until the point where the music is amplified and sent out to the speakers. 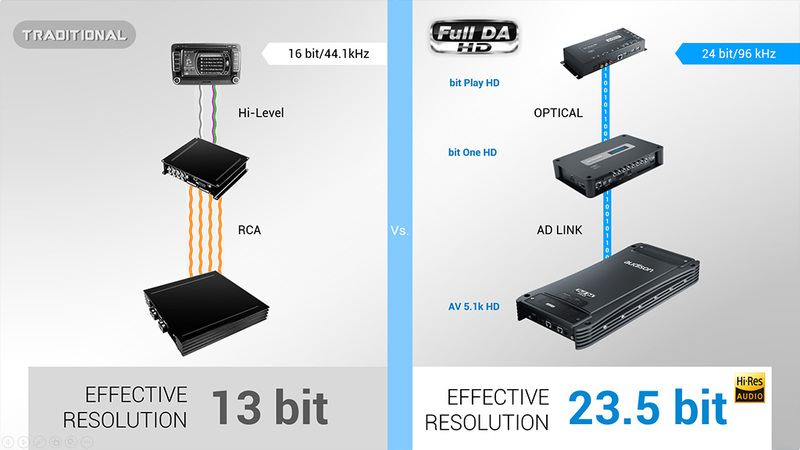 Full DA HD provides the flexibility to listen to Hi-Res audio such as DVD-A discs or Hi-Res liquid music files, delivering stunning 24 bit resolution, thus surpassing the 16 bit sound quality barrier of the CD format used in traditional systems. 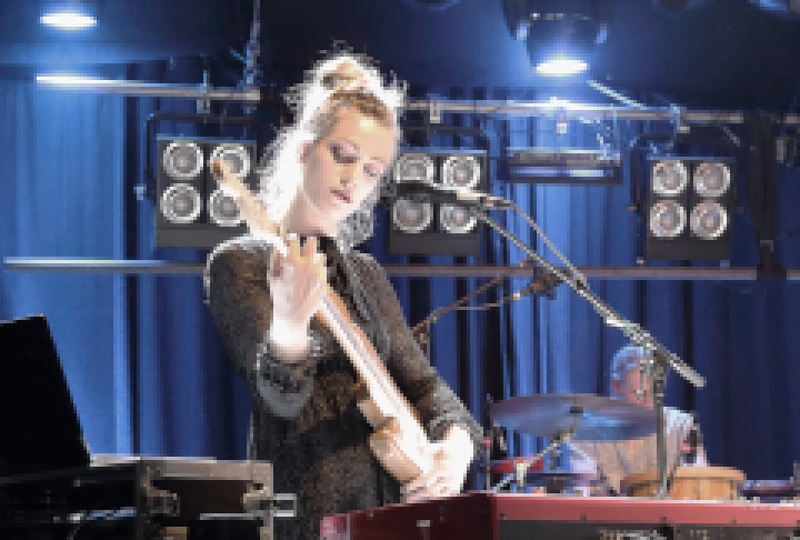 Transmitting a digital audio signal filled with detail and emotion, Full DA HD lets you experience your music with the quality of the studio master audio files! 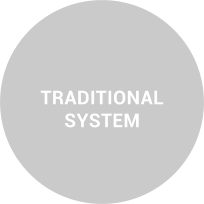 Radiated noise and signal degradation common in traditional signal cables are greatly reduced, so that you can experience noise free, crystal clear sound. 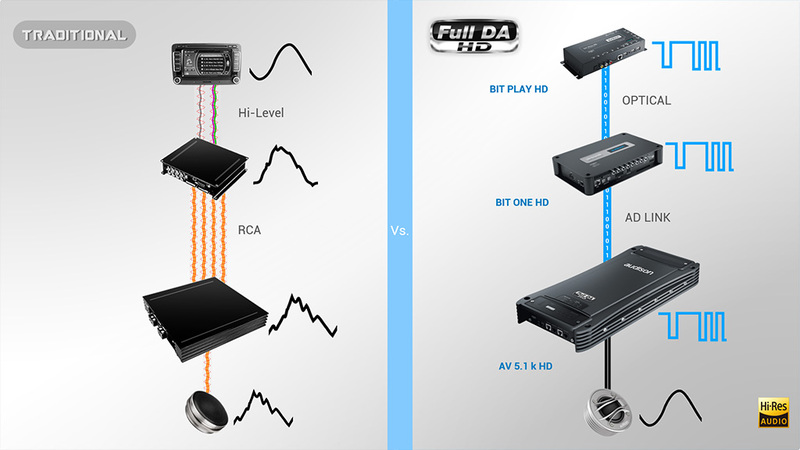 The Audison Full DA HD system requires minimal and simplified connections compared to a traditional system. An electric coaxial or optical TOSLINK digital cable runs from the source unit to the DSP. From there, a single AD Link LAN cable (CAT5S), capable of transmitting up to 8 channels of digital audio, runs from the processor to the amplifiers. 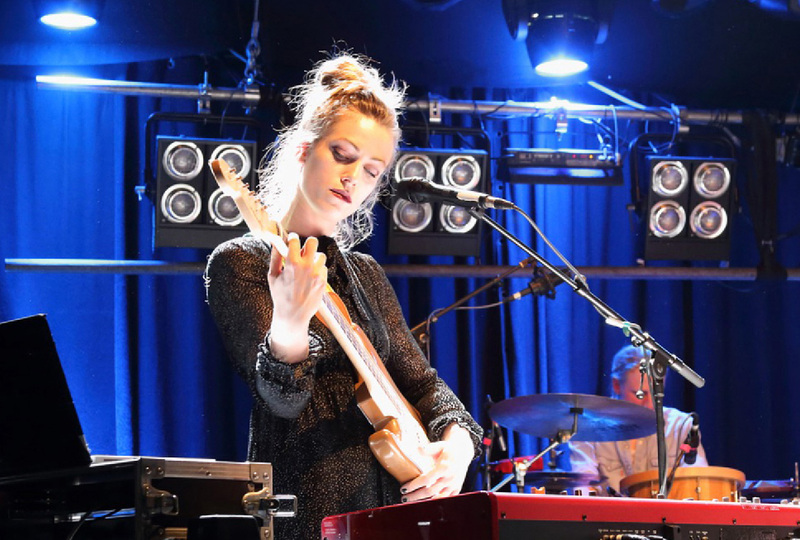 The emotions of a live performance! 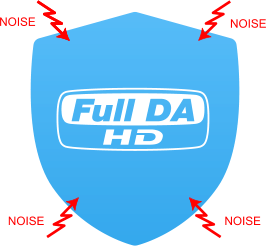 Create your FULL DA HD SYSTEM!